Get free advice and estimates from siding contractors in your city. Nothing has a bigger impact on the curb appeal of your house than the siding. Whether you are planning to sell or intend to stay, choosing the right siding material can make all the difference in the first impression visitors have of your home. Whether you are building a new house or upgrading an existing building, it is important to choose the siding that bests suits your region. Two of the most popular siding materials are brick and stucco 1. Each of them has distinct advantages, but which will work best for your home? If you want a classic, timeless look, you cannot go wrong with brick siding. It is equally well-suited to traditional home styles and modern design. However, the range of colors is more limited than with stucco. Stucco is increasingly popular because of its clean look and wider range of colors, whether through tinting the stucco mixture or painting once it cures. It is best used on contemporary designs or Southwestern-style houses. Neither stucco nor brick is an easy DIY installation job. It is much better to entrust these jobs to professionals. However, the labor costs for stucco installation are substantially less than for brick siding. So, stucco is typically less expensive. There are several stages in the stucco installation process, and many differences exist depending on what the stucco is being applied over. If it is covering an existing masonry wall, a concrete bonding agent is used first, followed by a scratch coat that is 1/4 to 1/2 inch thick. After it starts to harden, it is scratched all over to a depth of an 1/8 inch and left to completely harden for 36 to 48 hours, being misted occasionally to keep it moist and prevent it from setting too quickly and cracking. Once it is cured, a smooth or textured finishing coat is applied and left to cure in a similar manner to the scratch coat. That top coat can be tinted to the desired color or painted after 6 weeks. If installed over a wooden surface, a layer of roofing felt is first laid down, topped with metal netting. The scratch coat is forced into the netting. The rest of the process is the same. 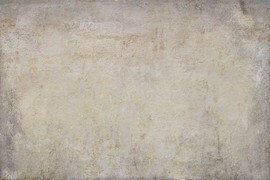 Installation of a brick wall starts by cleaning the surface of all dirt, oil, and loose plaster 2 and paint. 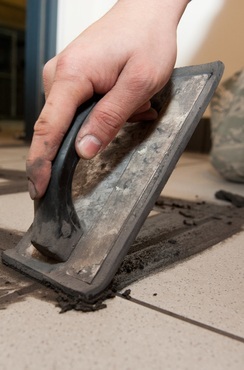 Once the metal flashing 3 is attached above the concrete foundation, the bricks are connected to the wall surface with construction adhesive, and mortar 4 is pressed into the joints 5 with a trowel. As the bricks are installed, wall ties firmly attach the bricks to the sheathing every four courses, meaning every four horizontal bricks in a row. 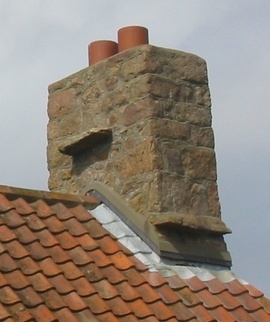 Once the mortar starts to harden, the joints are finished to a concave profile, and any excess mortar is brushed off. For a 1,000 square foot house or addition, the basic cost for stucco materials is between $1,100 and $1,500. It takes 3 to 5 days to complete the job, at about $40 to $50 per hour. If you want the stucco painted, that will add $750 to $900 to the final price, which ranges from $2,810 to $4,400. Brick siding is substantially more expensive than stucco. The bricks cost from $8 to $10 per square foot, and mortar and grout 6 add another $200 to $450. Labor is a large part of the cost. It will take 3 to 5 days to complete at $70 an hour, for a total cost between $9,880 to $13,250 for a 1,000 square foot house or addition. There is not much difference between the energy-efficiency of brick and stucco. Both deliver an R-value, which is the capacity of a material to resist the flow of heat, of about 0.4, roughly half that of wood siding. It is important to add extra insulation between the siding and the interior walls to raise the R-value of your exterior walls to an adequate level. An R-value of 13 is the recommended minimum. For an R-value as high as 15 or 18, use 2x6-inch lumber to increase the thickness of the walls and the insulation inside them. Brick is an excellent choice if you are looking for a long-lasting, low-maintenance exterior siding. 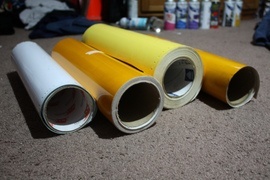 It does not need to be painted or sealed and will not rot or dent. 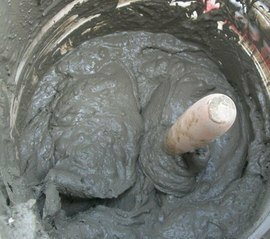 You may need to re-point the mortar 4, but under normal conditions, it will last for decades or centuries without any regular maintenance. Stucco requires much more upkeep over the years. Since it is porous, substances such as tree sap can discolor it, and it is much more likely to develop cracks as a result of the house settling. You will have to perform more regular upkeep to patch holes and cracks to keep the stucco intact. 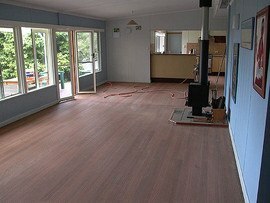 Also, it is usually painted, so every 5 to 8 years you will need to repaint the surface to keep it looking its best. 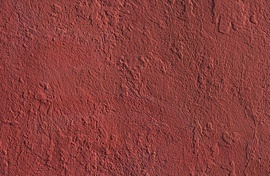 Even if you have pre-tinted stucco, the color will fade over time, so repainting may be required. In most parts of the United States, brick is a more durable choice. In areas of high humidity, such as the Pacific Northwest, stucco siding will be susceptible to the development of rot and mold. Also, in severe winter conditions, brick can better withstand the inevitable freeze-thaw cycle that could affect stucco siding. However, it needs to be installed properly with a good vapor barrier 7 behind it to prevent a buildup of moisture, and there must be drainage holes near the bottom to allow any moisture that does find its way behind the brick to drain out. On the other hand, stucco is well-suited to dry, temperate regions such as the Southwest, where it has been traditionally used for centuries. It is not recommended in earthquake-prone areas where cracks can easily develop. If you are looking for excellent fire protection, brick is the clear winner. In controlled tests, a brick wall can resist fire up to 4 hours. This makes sense when you consider that bricks are made of clay that has been fired at high temperatures. While exterior brick walls will not protect you from an interior fire spreading, brick exterior walls can be an extremely effective firestop when your home is threatened. When exposed to high heat, brick does not release any toxic gases. The superior fire resistance of brick siding can lead to lower insurance premiums. A one-inch layer of stucco typically has a one-hour fire rating. It will resist a fire longer than vinyl 8, for example, but will succumb to the flames much sooner than a brick masonry wall. A brick wall also has much higher impact resistance than a stucco wall. Whether it is hail or a poorly-aimed baseball hitting the surface, stucco is much more likely to suffer damage. Brick is made of clay, an all-natural material, and can last for a century or more without needing to be replaced, making it a good choice in terms of sustainability. However, that needs to be balanced against the high energy consumption in the manufacturing process. Bricks are fired in a kiln at 2,000⁰F for several days. And, if bricks need to be transported any distance, their weight results in high fuel consumption during shipping. It is best to source bricks as locally as possible. While stucco is also made from natural materials, like Portland cement, sand 9, water, and lime, stucco siding will not last as long as bricks. There is also a high energy cost in the production process, and if it must be shipped over a long distance, there will be considerable fuel consumption. Brick is the definite winner in sound transmission qualities. Stucco has a rating of 29 sound transmission class (STC), while brick has a 53 STC rating, making it a superior choice to block outside sound. Brick has a higher resale value than stucco of up to 6%. 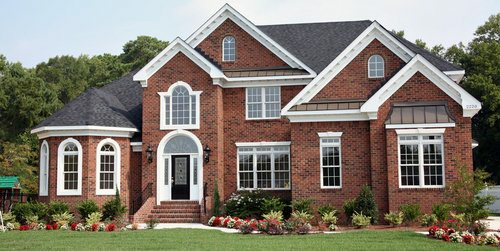 The attraction of low maintenance, high fire resistance, and durability gives brick an edge over stucco for home buyers. Cost Considerations: Galvanized steel flashings are inexpensive and readily available, but they do not last more than about 15 years. In some cases they may even void the warranty on the roof.